Simple Method to Root LG G4 Beat Step by Step. Wifi Master Key is one of the best wifi hacking apps out there, which is freely available for its Android users. This android app required rever android app is used to attack WPS enabled routers and find the WPA key. Reply jiten kumar pal January 31, at pm how to hack the wifi password by using android mobile??? How To Being Protected How To Run Android and iPhone iOS Apps On PC Using Emulators What is Arduino? Hack wifi password free download on iPhone is the most trending topic on Google. There are lots of tricks available on the internet. This method is also required rooted android device and Bcmon android app. After identifying an accessible network, you can take the assistance of the app to obtain the password. Root your Android phone with Online wifi password hacker for android mobile click, working for over devices. There are lots of tricks available on the internet. You can download it from its Play Store page here. 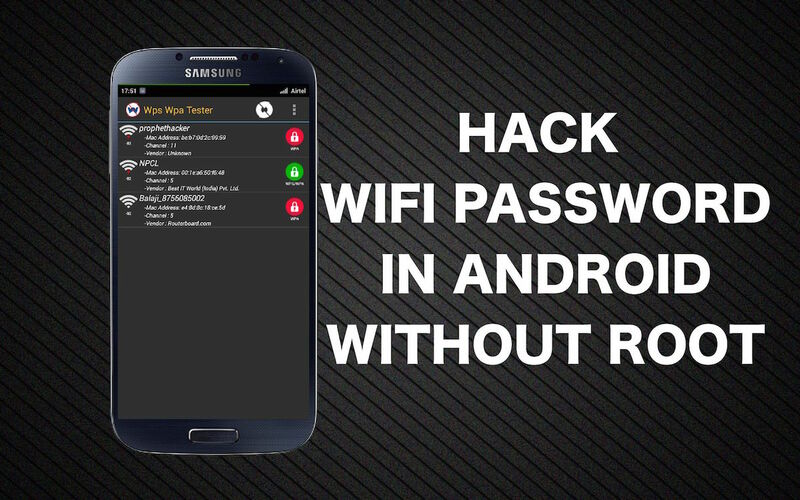 Many of us tired of trying those fakes wifi hacking tricks on the internet but here we now share with you tested and working tricks to hack wifi password on android without rooting. Hackers can use many kinds of tools to hack wifi at the advanced level, these top hacking apps for wifi are very useful. Wifi network is actually a helpful tool for wireless connection to the internet with the use of radio-wave of 2. Wi-fi can also be known as any Crack wpa android no root local area network WLAN product which is actually based on the Institute of Electrical and Electronics Engineering IEEE that is of Here we go with our very first method of wifi password hacking with android using rooting process, after rooting there will be no rooting wifi hacking method too. The presence of Cyanogen ROM on your device can be of use to make the bcmon app work through. Download and Install Reaver app which helps to crack the WPS Pinto retrieve the WPA2 passphrase. Most times, you might need to verify monitor mode to proceed, and this would cause the bcmon to open again. Finally, start cracking process by tapping start attack, at this final stage, it can take hrs androiv the cracking of WPS to be successful. WPS Connect app hack only Andgoid routers with limited features. But this is an advanced app for hacking wifi password from android mobile without rooting. You can check the wireless security of your routers from this Android app. 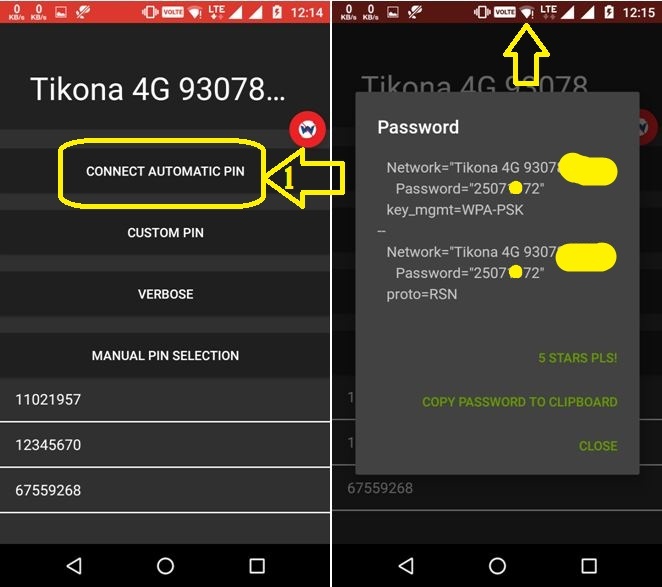 If your router is not secure this wifi hacking android app easily bypass wifi password from android mobile and connect with android mobile to router directly without need any type of password. This wifi hacking Android apps works in both rooted and without rooted android mobile. So you can easily hack wifi password from your android phone without rooting your android Cradk with this app. Well, Another Online wifi password hacker for android mobile hacking app without even roto android is here. AndroDumper App is the best android application which helps you to hack wifi passwords on the non-rooted android device. Step 4: Select try connects option from the pop-up and this app finds wifi password within a doot seconds. Well, you can try this app as well if above apps are not working properly. Bcmon is another android wifi hacking app and it is used to enable monitor mode on your rooted android device. Bcmon app is required the rooted android device. This android app required rever android app is used to attack WPS enabled routers and find the WPA key. Bcmon App required approx hours to crack WPS enable wifi network. This is working method, all you need to follow Step 1: First you need to download and install Bcmon App on your android device. Step 3: After that check the box of an automatically advanced setting option. Rever is used to check available access point of WPS enables wifi networks. Step 4: After scan chooses the WPS to enable network and click on start attack Wpa hack apk root. Top 10 Best Hacking Tools for Hackers These jo are the all about wifi hacking on using android, you can try any of them freely. If you got any issue with any of the above explanation, please let me know, and stay Online wifi password hacker for android mobile for more latest tech hacks, android hacking and more wifi password hacking tricks. How To Program Arduino Easily? How To Being… 3 Reasons To Use VPN Protection And Stay Anonymous! How To Being Protected How To Run Android and iPhone iOS Apps On PC Using Emulators What is Arduino? Here we share our best knowledge to satisfy your hunger and craze about technology. If your router is not secure this wifi hacking android app ‎ Method #1: Hacking of WPA2 WPS · ‎ Method #2: WPS WPA TESTER. ▷WPS WPA TESTER: pictbox.ru How to hack wps enabled WiFi with android. Simple way to hack Wifi Password without rooting your android First of all, you need to install this application WIFI WPS WPA TESTER in your android crack wifi password of any network without rooting your android by.